Calls are mounting for suspected terrorist groups to be sent to the International Criminal Court at the Hague, Netherlands to face trial. 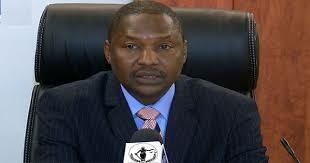 Nigeria’s Attorney-General and Minister of Justice, Abubakar Malami has renewed the country’s call on the world community, especially members of the United Nations Security Council to allow the trial of non-State parties who perpetrate war crimes at the International Criminal Court at the Hague, Netherlands. Malami made the call in a speech he delivered at the 17th Session of the Assembly of State Parties to the Rome Statute of the ICC at the Hague on Wednesday December 5. If the proposal is accepted, it would make it possible for insurgent groups such as the Boko Haram to be dragged before the court to face charges of war crimes. He revealed that Nigeria is currently being examined by the Court regarding eight potential cases (six against the Boko Haram terrorists and two against the military), stressing that it is on record that the country has fully cooperated with the court in its efforts to unravel the facts and to get to the bottom of the cases. He said the war against insurgency is such that the Nigerian military has made “supreme sacrifices” in its laudable effort to decimate the violent groups. He commended the Nigerian Military for prosecuting the war against insurgents within its strict rules of engagement, even as he disclosed that the Federal Government had taken all allegations of abuses by the military serious. “The government of Nigeria takes all allegations of human rights and other violations against military personnel seriously and thoroughly investigates them, and when credible, has brought some members of the military to trial,” he said. He assured the global audience at the event of Nigeria’s commitment to her obligations under the Rome Statute and pledged that the country would work to safeguard the integrity of the Rome Statute and its cornerstone principles.